This the least expensive Kindle at this point, and it’s certainly a serviceable device. It does have a touchscreen, but does not have the built-in light of the Paperwhite or the Voyage. 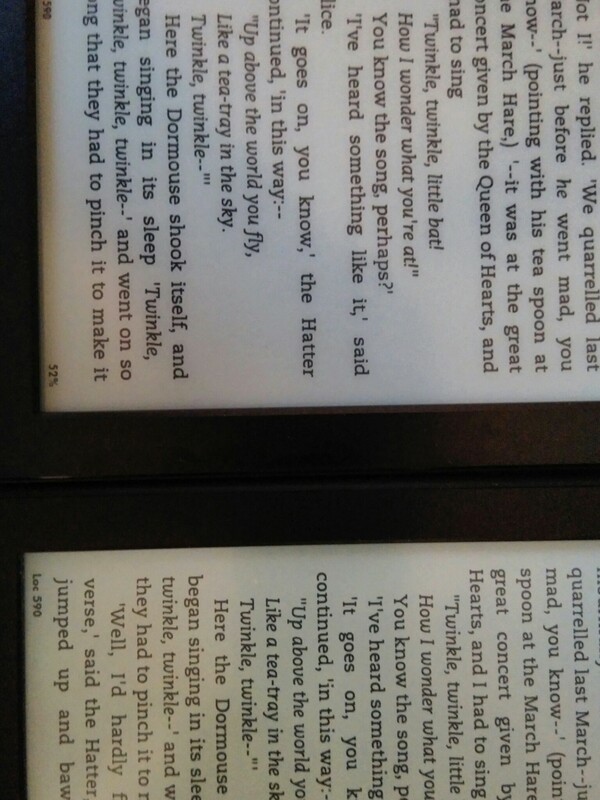 As is the case with all current non-Fire Kindles, it does not have audio (so no music, audiobooks, or text-to-speech). This could be a good “guest Kindle”, though, and might be a good Kindle for a responsible child. I do like the Paperwhite better, but this is literally less than half the price of that $119 device at this point. Round up #272: Fire update coming, Mindle Touch questions? That’s the new $79 model. I called the old “entry level” model a “Mindle” (for minimum Kindle), and this one has a touchscreen, so…Mindle Touch. 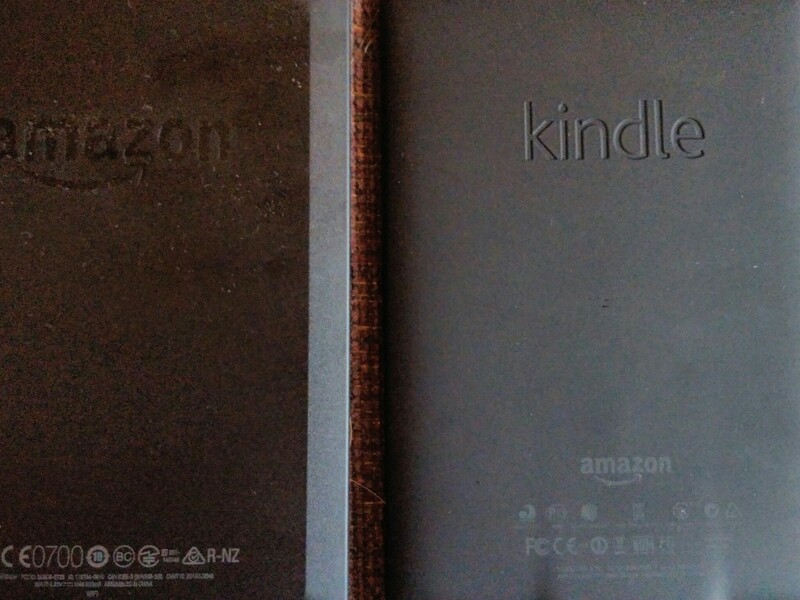 Interestingly, Amazon refers to it in a few places as a 7th generation Kindle. That would make sense to me: the Kindle DX was basically the same software as the Kindle 2…same generation, even though it was a different size. I’ve also asked for a Kindle Voyage (at AmazonSmile: benefit a non-profit of your choice by shopping*) for review…if I get one, I’ll let you know. It’s alerting me that the devices will be updated (for free) to Fire OS (Operating System) 4 in “the coming weeks”. That will be on the new generation of Fires, but I’m sure won’t be on the first generation. Did you notice that Family Library wasn’t on the list? I assume that’s because that isn’t part of Fire OS 4, and that it will work with a much wider range of devices. This update could also affect the Fire Phone…and possibly, in some way, Fire TV. Why send this announcement now, ahead of time? I think, in part, Amazon’s trying to patch its reputation going into the holiday season…and caring for customers with devices already helps them decide to buy newer devices. Thanks for subscribing to receive updates on Amazon’s new publishing program! We’re excited to announce that we’ll be opening for submissions in a couple weeks. We’ll send you an email as soon as we’re open for submissions. Looking forward to hearing from you! I don’t have a book written already that will fit this. I suspect it will have somewhat of a soft start: my guess is that people will write books specifically to try them for this program. Some folks have books sitting around…but how many of them won’t have independently published them already before they heard about this program? Put in the subject “Question about Amazon’s new publishing program”. member and a Prime member eligible to use the Kindle Owners’ Lending Library (KOLL). If you are both (which I am), at least some people (including me) are finding it very difficult to impossible to borrow a KOLL book. All of the books which are in both the KOLL and KU only seem to want me to borrow them through KU. If a book is in the KOLL and not in KU (a quite small number, from what I can tell), then I could do it…but that’s not much of a benefit. It doesn’t bother me that much…I’m not a Prime member because of the KOLL, it’s just a nice perk. Still, it doesn’t seem to be working the way Amazon wants it to work…and it does feel like a bit of a takeaway. I’ve given them information about my experiences with it…I’ll let you know if they let me know that they’ve figured anything out. Santos sees both the Fire Phone and the Kindle Voyage as underperforming, and indicative of Amazon’s customers not being able to be brought to profitable price points. The two reasons? They don’t know how, and they don’t wanna. 😉 They recommend selling the stock. Santos starts out by apologizing for writing about Amazon so much. 🙂 This one did interest me, though: Amazon has had a rep as being an environmentally conscious company…not someone you would expect Greenpeace to actively target. However, Santos noticed a massive drop in ratings for the Fire Phone…and thinks it is due to an active 1-star campaign by the non-profit. I generally like Greenpeace, but this raises an interesting question for me: should you go after a company by rating one of their products at 1-star? What does their policy (with which you disagree…details on that in the article) have to do with the quality of the device? I don’t rate books as 1-star because the publisher chooses to block text-to-speech access…I don’t buy the book, but it doesn’t feel…honest to rate the book 1-star on that basis. What do you think? What do you want me to check on the Mindle Touch? Is rating a product 1-star because of a policy something with which agree? Does it make a difference that this is an Amazon product, rather rating, say, an e-book not from Amazon 1-star because the price it too high or it isn’t available in your country? Feel free to let me and my readers know what you think by commenting on this post.